Lithium batteries are everywhere in the military. 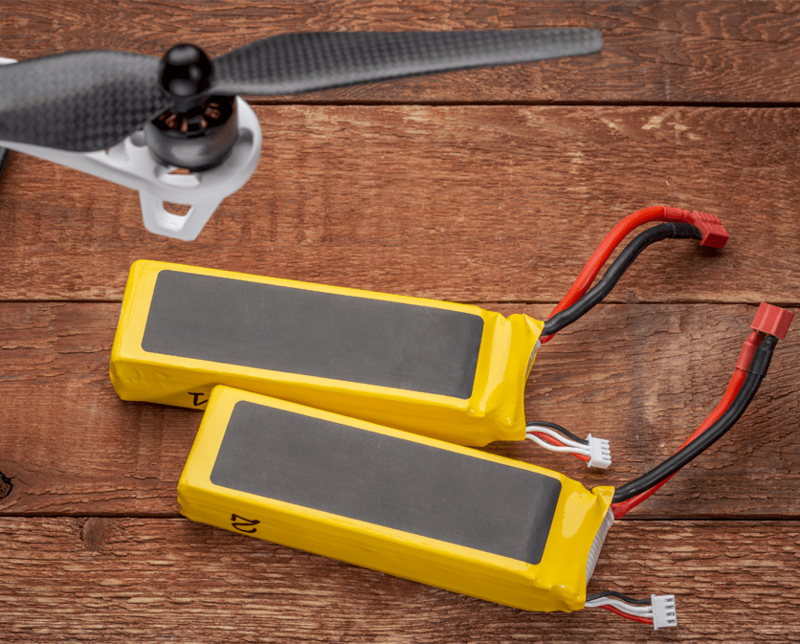 Rechargeable batteries power mission critical equipment like drones and UAVs. Communication equipment also uses rechargeable lithium batteries. Many other types of equipment rely on one-time use batteries for power. Despite wide usage, not everyone is aware of the hazards of lithium batteries and how to store them safely. A lithium battery explosion and fire at one base destroyed $70,000 worth of critical battery inventory. To make matters worse, the incident happened in a personnel-occupied building. There is no universal standard for lithium battery storage. NFPA has yet to establish defined requirements for lithium batteries. Many regulators have issued white papers on the subject with helpful guidelines, but there is no standard code. Lithium and water don’t mix. In the incident described above, water sprayed onto a smoking battery while charging. Hot lithium explodes if it comes in contact with water. This caused other lithium ion batteries charging nearby to explode and burn too. Drain or drawdown lithium batteries first, before recharging. This is due to a memory effect that can reduce the life of the battery. Typically, you don’t fight a lithium fire – you contain it and let it burn out. Lithium fires are almost impossible to extinguish. It tends to self-reignite. Even if a lithium fire looks dormant, it could still start up again. Non-rechargeable lithium batteries are also a fire risk. Non-rechargeable batteries, also called secondary batteries, should be stored upright and individually wrapped. If their points touch, they can ignite. Even discarded lithium batteries can start a fire. Individually wrap discarded batteries so that they do not touch each other. Even a spent battery may have enough charge to start a fire. Lithium ion battery charging buildings are not the same as storage containers. Although they may seem similar, the hazards of large numbers of lithium batteries make them suitable for a chemical storage building. Considering the risks lithium batteries pose when storing and charging, you need a storage solution from a company that understands your needs and has extensive industry experience. U.S. Chemical Storage supplies custom chemical storage buildings for lithium battery storage mission critical applications. Single and multi-room options are available. This enables separating charging stations from battery storage. All lithium ion battery charging stations have master battery management modules to ensure uniform charging across a string of lithium batteries while monitoring battery health and temperature. Lithium battery storage and charging buildings have climate control to keep temperatures in the optimum range. Our prefabricated buildings come as fire-rated or non fire-rated. The choice depends on location relative to personnel-occupied buildings and the specific application. Prefabricated buildings cost considerably less than traditional onsite construction projects and can be installed promptly upon delivery for fast deployment. U.S. Chemical Storage supplies lithium battery storage buildings for military. We customize our solutions for UAV and AUV battery storage to support the mission and maintain mission preparedness. Find out more about our lithium ion battery charging and storage solutions here.